Discovered Wilbur Smith novels a few years ago and have since read all, even the earliest, and still have several on my permanent bookshelf. Have most enjoyed the Courtney, Ballantyne and Egypt titles of historical adventure . The King of Kings is well connected to these and did not disappoint. The usual Wilbur Smith detailed imagery, descriptions of time and place woven into the story. In this case Ethiopia/Abyssinia and Egypt, in the 1880s. Along with clear dialogue from the characters, flaws and all. The earlier Courtney and Ballantyne novels had lots of Ferocity and Savagery, still in this book but softened a bit here. Still enjoyable and a good story. I think the latest co-writer Imogen Robertson contributed well to the story too. All good. 4,0 van 5 sterrenExcellent, as expected. I enjoyed this book, having read all the other books in the series over decades. Excellent writing, as usual, from Mr Smith. Difficult for me to stop reading historical fiction in any case. I did find the very end of the novel to be a bit anemic. It was a great read! It gives more information about both the Courtney and Ballantyne family lines. Set in Africa, of course, in the past. If you loved Smith's previous books, I'm sure you will love this one too. 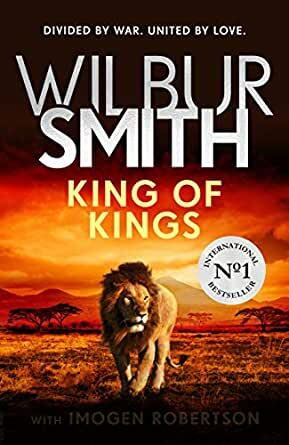 I enjoy these books a great deal because Wilbur Smith manages to blend real history around his tales. It allows the reader to gain an understanding of world events. Since I've spent a good deal of my career in that part of the world learning more is always a good thing.